It’s a small world, after all (especially for musicians)..
With the concert season now fully up and running, I’m in the midst of rehearsing with all kinds of musicians, from people whom I work with on a daily basis at UMaine to people that I’ve never played with before. But this particular fall I’m performing with some people who go way back, so to speak, to graduate school even. 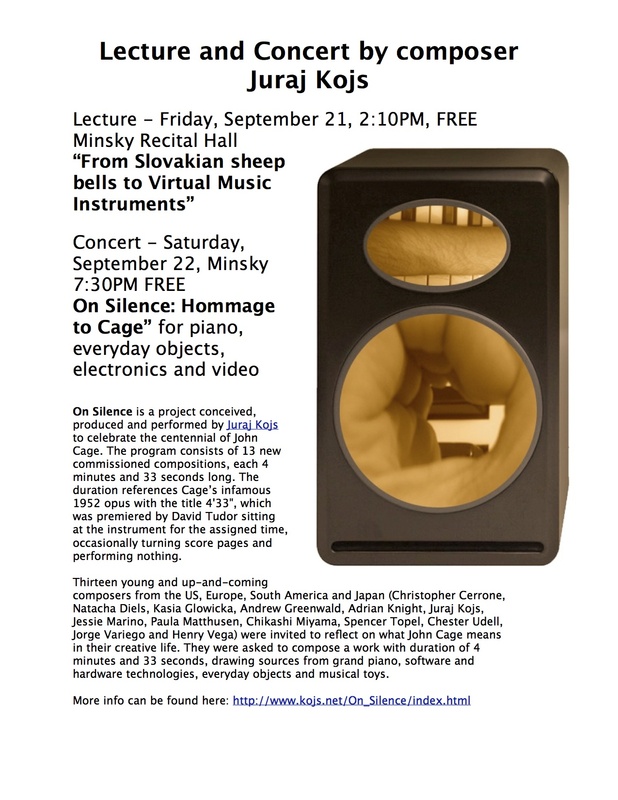 Like Eric Thomas, whom I’ve known since free-lancing in Boston in the 80’s, who is conducting our UMaine Pierrot performance, “guesting” from Colby College. 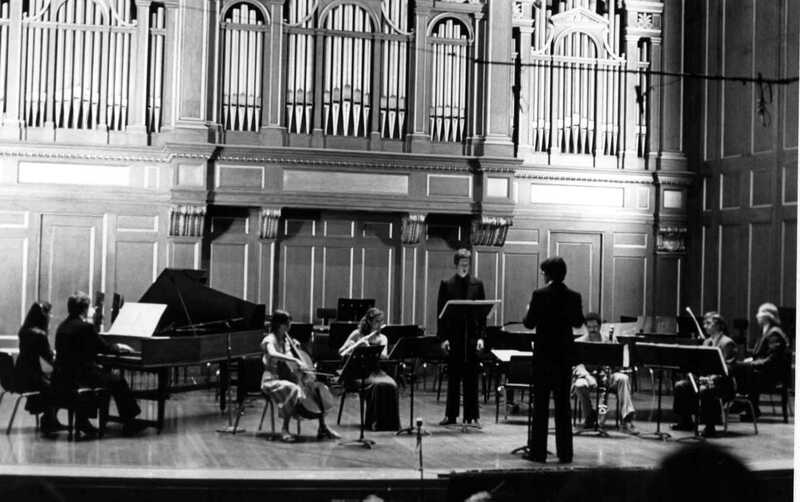 Eric and my husband went to NEC together, and there’s a picture of Eric playing clarinet in Davy’s piece on the NEC Commencement concert in 1980 on our wall here at home (see above – Davy is playing the piano). It’s great to be conducted by someone who knows Pierrot from having played it himself, and I’m looking forward to the couple of concerts we have scheduled for the piece. I’m also rehearsing with old friends Geoff and Maria for the Brooklyn concert coming up, which gives me excuses to stay in New York more than usual this month. After that, I’ll be performing “Star Theatre” at the Electroacoustic Barn Dance in Fredericksburg, which was organized by Mark Synder. I haven’t known Mark for as long as the other people in this post, but I did meet him when he was still a grad student in Memphis, running around organizing a festival there. Both of us wound up getting into pieces-with-video at the same time, and it’s good to see how active he is now. Now we both hope that the travel from Maine to West Virginia is relatively trouble-free. and the concert season begins.. The last time I really saw Juraj, he was a fellowship composer at the Wellesley Composers Conference, and he came to a picnic at our house during the festival. At said picnic, he took part in an eating contest with other composition students Hillary Zipper and Seung-Ah. And Juraj won. I don’t think we had any food left in the house afterwards.